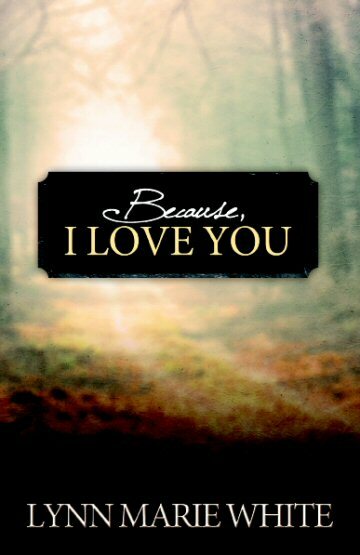 Our book entitled Because, I Love You by Lynn Marie White is about the undying love God has for you. We would like to share it and hopefully help you realize how much the Lord really cares for and wants a very personal relationship with you. If you or someone you know needs to be uplifted and encouraged with God's words, we highly recommend this book. For*Givin Ministries is proud to be a part of Books Behind Bars. This is a prison ministry that brings the message of God's love and the hope of new beginnings to prisoners by placing powerful testimony books in their hands. These books tell of how God has intervened in peoples lives and dramatically changed them. Because, I Love You is one of the books sent to the prisoners. We are very excited that our book was chosen to be a ministry tool in so many lives. We pray that the Lord touches the readers through these books. May they accept and live in the love of Jesus Christ the rest of their days here on this earth and show this amazing love to others around them. "It is amazing what marvelous things God will reveal to those who stop to listen to His still, small voice. Lynn White is just one of those people willing to sit at the feet of the Lord and hear what He has to say to her. Ms. White has been gracious enough to record all that God has whispered to her humble heart so that generations of readers can grow closer to the Lord they love. 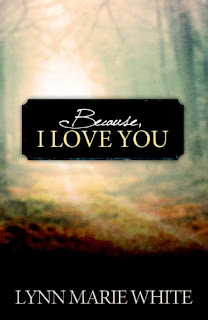 From the importance of reading your Bible to how God truly feels about us, His creation, Lynn covers it all within the pages of Because, I Love You. In thought provoking sections, the reader will be drawn in and engaged by Ms. White's conversational manner and the tenderness God chose to reveal to her. Not only is Because, I Love You filled with countless nuggets of wisdom, but it also encourages readers to search out their own intimacy with God and ask Him for their own pieces of revelation. Lynn White equips her readers for a lifelong growing and thriving friendship with God. From the first letter to the last paragraph, the words within this book are insightful and encouraging to all who take the time to enjoy their intimate honesty."